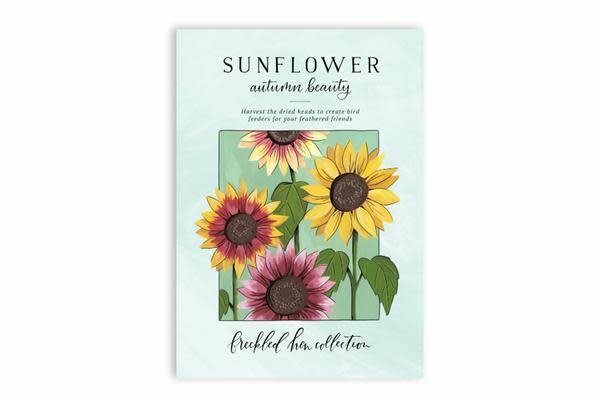 This sunflower mix comes in beautiful shades of bright yellow, bronze, red and purple, with flower heads up to 8 inches across. The flowers make great bee forage, cutting stems for bouquets, and are even edible! Flower buds can be fried and the petals can be sprinkled on salad as a bittersweet garnish. You can also cut the mature heads and use the seed as birdseed. 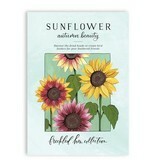 Where to plant :: Plant sunflowers in an area with full sun and light, well-drained soil. When to start inside :: Start seeds indoors 3-4 weeks before your last frost date. When to sow outside :: Transplant sunflowers into the garden after danger of frost has passed or directly sow once soil has warmed.